It’s playoff time. 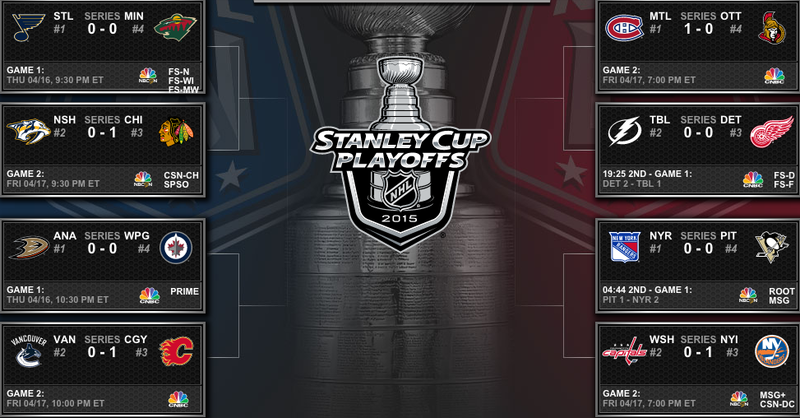 This marks the beginning of the battle of 16 teams as they fight to win the Stanley Cup. For just over half of NHL fans, the beginning of playoff season is the best. Your team made the playoffs! What could be better? But for the other half of NHL fans, they have either plunged into an abyss of sadness or, even worse, bandwagoned. For LA Kings fans, like myself, we are faced with the hard decision of “To bandwagon, or not to bandwagon?” I have, instead, plunged into an abyss of sadness. But I’m still keeping up with the stats, just to make sure the Ducks don’t win. The 8 teams from the Western Conference this year are the St Louis Blues, the Anaheim Ducks, the Winnipeg Jets, the Vancouver Canucks, the Calgary Flames, the Minnesota Wild, the Chicago Blackhawks, and the Nashville Predators. And from the Eastern Conference, the New York Islanders, the New York Rangers, the Ottawa Senators, the Pittsburgh Penguins, the Montreal Canadiens, Tampa Bay Lightning, Washington Capitals, and the Detroit Red Wings made the playoffs as well. 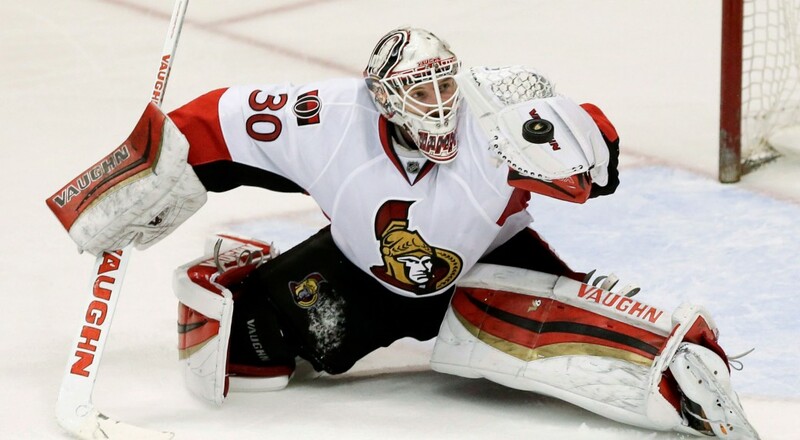 Ottawa Senators: I’m a tad biased, considering the Sens are my second favorite team; however, the Ottawa Senators new goalie, Andrew Hammond, has been killing it as of late. Out of the 24 games he’s played during the regular season, he’s only lost one in regulation and has a total of 20 astonishing wins. At one point in the season, they were 14 points away from being in a playoff spot. With the help of Andrew Hammond, they were able to turn the season around with barely two months left in the regular season. He, along with the Senators, are sure to go far. Calgary Flames: As much as it pains me to say, the Calgary Flames have a pretty good shot at making the finals. These are the guys that sealed the deal and officially kept the Kings from making the playoffs. While quite a few of their players are making their playoff debut, they still have a solid team. In fact, the Flames are currently up, 1-0, in their current series against the Canucks. 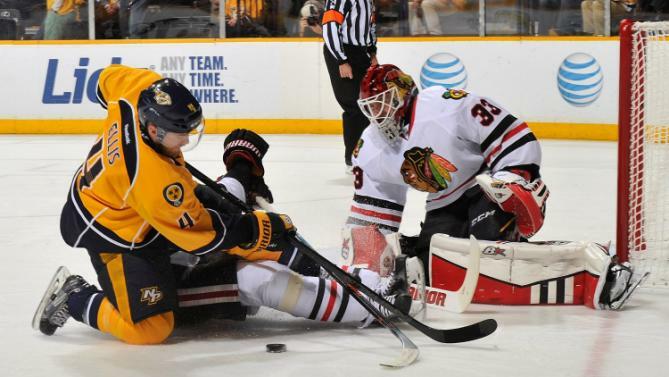 Chicago Blackhawks vs Nashville Predators: These two teams are two of the strongest in the NHL. The Blackhawks and Predators finished their regular season with 102 and 104 points, respectively. They have only played one game in this series so far and it ended in a double OT. Needless to say, this series will probably end with a game 7 and that game is sure to be entertaining. Who do you think with make the finals? Let us know in the comments! ‹ PreviousEaster: A Day For Jesus, Resurrection… and Bunnies?